Orange County Wedding Officiants -The Clergy Network Of Southern California- www.legallymarried.com: The Dangers of Being A Wedding Officiator In Southern California! The Dangers of Being A Wedding Officiator In Southern California! January 7th 2010 - Being a "real" wedding officiator is dangerous - Standing on the very edge of cliffs! Being engulfed by rising tides! Taking the wedding rings from the mouth of a police dog! Breaking the fall of a 6 foot groom as he collides into your slight wedding officiator body! In any event the wedding ceremony must go on, no matter what! The Clergy Network has a lot of stories to tell about 21 years of the amazing, the crazy, the sweet and the terrible. So, over the next year, we shall share some of our stories with you, the old and the new for 2011. The Clergy Network is the only "real" background checked, professional and degreed wedding officiator membership in Southern California. Most wedding officiators are "fakes" in Southern California, getting their authority to preside a marriage ceremony over the Internet, with no training or background check or experience or peer review. Especially, the last few years, this phenomena is spreading like wildfire! 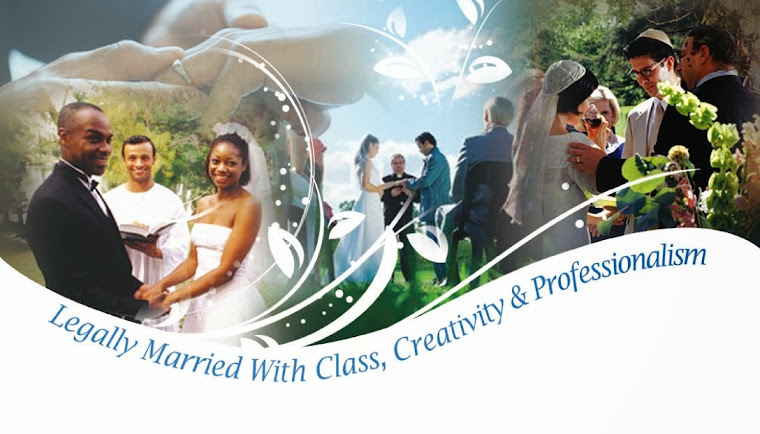 Select The Clergy Network wedding officiator for your custom written wedding ceremony, wedding day marriage license issuance, wedding officiator "backup" protection, bride name change software and more!